How long is the food handler course? The food handler training is rated at 2 hours. 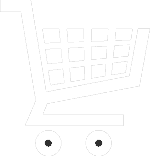 How long is the food handler certificate valid, how many years? Typically, the food handler certificate is valid for three years (3 years), however, there may be jurisdictions that have different requirements. To check your jurisdiction, go to the home page, click on the food handler course, then click on your state. Is this a state approved course? Most states rely on ANSI to provide a process to develop and maintain food handler training. The course is valid in most, but not all states. From the home page, click on the food handler course, and you can view a map of state approvals. 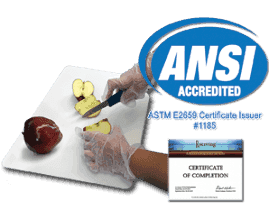 ANSI stands for American National Standards Institute (ansi.org), and in the case of our food handler course, they provide standards to ensure we continually review our training and update it to meet a high standard for the students education. Many states require ANSI accreditation for the food handler course ( in which case approval is required before courses can be sold in that state).